I wish there were a simple answer, but it really depends on how you tolerate what is on the course! which is on the course. We diluted it by half so it was not as sugary and would lessen the likelihood of stomach upset or GI distress later in the race. For her, we also added NUUN tablets, which is what she was already using. (I try to work with what you have been using already rather than changing to a specific product line just because I use it, or just because I may have a discount code for it.) Adding the NUUN in this case added the needed electrolytes and added more magnesium and calcium which Gatorade does not have. Since we were diluting the Gatorade to aid in absorption we needed to increase the electrolytes – diluting it means fewer electrolytes available. For this client, it seems to be working out really well! She has used it in training successfully including the 6-7 hour rides with no stomach upset, and no dehydration issues on the bike or run(once we optimized it). NOTE: This is what worked for HER! Different client, different result with a similar situation. So we are working on testing other products right now including Infinit Nutrition‘s Go Far and Go Fast. So far he prefers the Go Far but is considering the custom blend so he can add his electrolytes into the bottle without adding fizzy tabs or pills. We are still working on his race day fueling but we do have 2 more months! 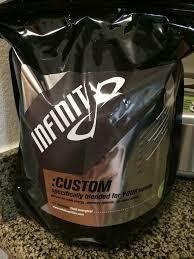 NOTE: If you want to try Infinit, use nutritioninmotion to get 10% off your order. 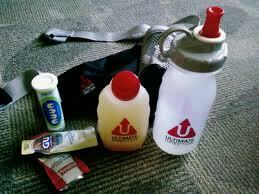 Last year I had a client who was using Osmo as she, too could not use Gatorade which was on the course. She has a very sensitive stomach and we went thru many electrolyte options to find what would work best for her. She actually found a few alternatives I never knew of! One was a liquid electrolyte concentrate that comes in a gel-like packet. She could not take pills and could not tolerate any sugar alcohols or stevia either. So we worked on a hydration plan and she finished Challenge Atlantic City with energy to spare and a smile on her face when she finished! And no GI distress which she had been suffering through for several years before she found me. Her race day fueling was perfect! 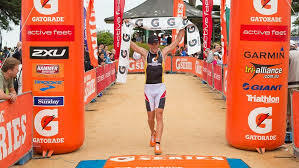 I had another client last year who was using EFS for his electrolyte replacement solution for Challenge Atlantic City. I liked this product for his race day fueling as it had more magnesium than other products out there. It seemed to work well for him although we still had to make adjustments to his hydration and electrolyte needs. I wrote about his ‘journey’ last year. You can read one of the four entries here. This where I also coined the term ‘re-hydration’! We needed to figure out how to make it all work for both the bike and the run and manage electrolytes throughout the whole process. He did finish with a 10:08 which was 8 minutes off his goal for his first Ironman distance event. He knew weeks before he needed help with race day fueling and his hydration needs. But he also knew he could not use what was on the course. Then there is me. I have never been able to do Gatorade. Never. The only time I tried it was on a hot and humid morning before a 5K. I had the worst stomach cramping…..I vowed never to do that again! For me, I have never had the option of using what is on the course except for when the course was using Hammer Nutrition’s HEED (when I was using this product). So I have always had to take my own nutrition with me. And I therefore can help you determine how to do that and which bottles to fill where, which go into your special needs bag, etc. My first Ironman USA in Lake Placid in 1999, I used Sustained Energy with PR Bar electrolyte mix and it tasted like a dreamsicle! YUM! Then I added electrolytes in pill form and an electrolyte concentrate, too. The second year, I had switched to Perpetuem and Sustained Energy. Or maybe it was Heed orange and Perpetuem? I honestly can no longer remember! And that seemed to work well for me then. I stopped using HEED as I could no longer tolerate the xylitol – the sugar alcohol in the product was too sweet andmade me gassy. Since then, I switched to Vega Sport products until I couldn’t take the stevia or the brown rice syrup they were using which made it just too sweet for me. Then I tried Infinit Nutrition products. In the winter months, I can use their ‘off the shelf product Go Fast For Women. But in the summer I use a custom blend, which has additional electrolytes so I don’t have to supplement with as many electrolyte capsules during a ride or event. I take my drinks with me as I know that is what works for me. Even I am trying different products to find what works for me. And some work for awhile until they don’t. As you can see, the answer to “Should I drink what is on the course?” is not as simple as yes or no. It is a great idea to start with it as it does make racing so much easier when you are using the product the race provides. But if you have issues with that product, the finding an alternative to your race day hydration protocol is needed. I help you sort through other products and dial in a better combination of products so you won’t get any GI issues or stomach upset while you race. I am also not married to any one product although I do have my preferences if your combination is not working for you! If you are looking for expert yet realistic advice on how to manage your race day hydration needs for an upcoming Ironman event, ultra marathon or cycling event, contact Joanna Chodorowska of Nutrition in Motion. She help you work through each week so you can learn what works best for you. She takes the guess work out of your plan so that you know exactly what to do come race day. She offers a one session Race Day Nutrition Strategy session, as well as a Race Day Nutrition Package. As one client said last week “You are worth every penny!” aw, gee, thanks! Thank you. I hope you find the information useful. Be fit and fine always. Thanks for sharing this to us. Thank you for your kind words! Please let me know if I can be of further assistance or if you have other topics or questions you would like me to discuss in a blog post.